Divorce is difficult. Divorce can also be respectful. Collaborative law provides an opportunity for people in conflict to create the best possible outcome for them while holding their children as top priority. Using a team model, the process offers couples a safe and structured environment in which to work together to resolve their dispute. The collaborative process can help couples to preserve and promote the best portions of their relationship as they dissolve their union, enabling them to create their own settlement and move forward with the rest of their lives. Heated battles and contested proceedings are no longer the only options, nor are they always necessary. There are many choices available today for individuals and families to address the issues arising from their separation. These options include the uncontested or kitchen table method, mediation, collaborative law, unbundled services and traditional litigation. The collaborative process offers you, the client, the opportunity to create your own outcome and to decide, with your spouse or partner, what is best for you and your family as your separate. It can also offer an opportunity for healing, self-growth and expansion as you move forward with the rest of your life . 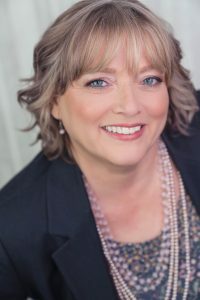 Billie L. Grissom has been involved in Washington’s collaborative movement since 2005 and her practice is limited to out of court settlement options. She has had extensive training in collaborative law, mediation and other out of court settlement approaches for difficult and complex family law matters. Billie helps couples and families in conflict preserve what is most important to them through active participation that allows them to decide their own future. She is an active and empathetic listener who directly addresses client’s needs. Billie can help you to understand your options and to move forward in life without destroying yourself, your children and your family. Discover how you can make your transition in a peaceful and productive manner – contact Billie at 425-286-1110 or email info@billiegrissomlaw.com.